Home >> Uncategorized >> Survey: The Kingfisher Airlines drama continues. Is the airline ready for euthanasia? Kingfisher Airlines Limited today announced that following a series of protracted and unabated incidents of violence, criminal intimidation, assault, wrongful restraint and other illegal acts including refraining from attending work, by a small section of recalcitrant employees which were all unnecessary and unprovoked, the management has been forced to declare a partial lock-out at the airline, effective immediately. May be the airline should look at the insensitive tweets of Sidhartha Mallya, son of Kingfisher Chairman Dr. Vijay Mallya. Just spent the morning playing volleyball with 12 bikini clad models on the beach…now I understand why people hate me. HA! Rubbing a high flying lifestyle, in to the face of employees whose salaries remain unpaid for months, will surely achieve disastrous results. The Directorate General of Civil Aviation (DGCA) summoning the Kingfisher management to a meeting on Tuesday, which happened to be Gandhi Jayanti, a national holiday, shows us, the seriousness of the government, which till now has been treating Dr. Mallya with kid gloves. 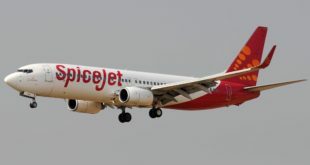 Even the Civil Aviation minister Ajit Singh, a well wisher of the airline, warned that the government establishment could no longer ignore frequent disruptions and non-adherence to published flight schedules, reports The Economic Times (ET). “Disruption of (flight) schedule has become an issue with Kingfisher Airlines. While the issue of passenger safety is paramount and cannot be jeopardised and DGCA needs to be satisfied that there are no safety concerns, Kingfisher has to also ensure that they operate flights as per the schedule they have submitted to the DGCA,” Singh told ET over phone. 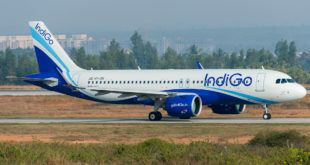 To rub salt in to the wounds, the Kingfisher management arrived in Delhi on board a flight of arch-rival IndiGo. Kingfisher CEO Sanjay Aggarwal and Executive Vice President Hitesh Patel had an hour’s meeting with DGCA chief Arun Mishra. FirstPost reports, Aggarwal told the regulator, Kingfisher is loosing Rs. 80 million (Rs. 8 Cr., $1.5 mn) per day and also presented ten points. Most of them we have heard before. During the lockout, the airline cuts its losses in half, says Mint. This raises the question, why not keep the airline in hibernation till a foreign investor is found? Two immediate answers are; (1) Given its massive losses and accumulated debt, it is not very certain how attractive an investment Kingfisher is, despite the claims of the company and (2) With each passing day, by not operating its schedule, the airline is loosing its most desired assets, the routes and peak-time landing and parking slots at the major airports. In the meeting, the airline executives reportedly told the DGCA, Kingfisher is in talks with the various authorities for unfreezing multiple bank accounts, holding about Rs 600 million, frozen due to non-payment of various taxes and mandatory dues, which includes the with-holding taxes deducted on employees salaries, but not remitted to the government. An act, which invites immediate trips to jail for mere taxpayers like you and me, but not the Chairman sahib. In the meeting Mishra gave an ultimatum, that the airline must give a time-line for paying employees, apart from a “satisfactory and realistic” operational preparedness plan, before it can get permission to fly again, as per a report in Business Standard. Aggarwal who apparently has not been paid salary himself was left to defend the airline while the Chairman was nowhere to be seen. He was confident the airline, which has a monthly wage bill of Rs. 200 million, would be able to pay the pending salaries in the next few days. The reason for Aggarwal’s confidence? May be a deal between United Spirits and Diageo, which DNA reports should be announced tomorrow. However, some other reports suggest that Mallya will use the proceeds of this sale to retire those liabilities that have his personal guarantee. Is he getting ready to finally bail out of Kingfisher Airlines? Or once his guarantees are retired, he threatens the banks to walk away from Kingfisher unless additional funding is provided? The Economic Times also reports that Mallya has borrowed Rs. 525 Cr. from HDFC Bank against his ancestral property, but it is not clear whether this money has been used to fund Kingfisher Airlines in any way. Is Dr. Mallya reduced to selling the family jewels to wriggle out of the situation? Despite the regulator not being satisfied, according to the Mint, Mishra has indicated there is no risk of the airline being shut down, since they have more than the minimum five aircraft. This surely begs the question, why is the airline still being propped up? Is it to protect the books of the various government owned banks, led by State Bank of India, who are owed over Rs. 80 billion (Rs. 8,000 Cr. ), and whose books will be awash with red if the airline goes under? Is it because of the government’s policy, which does not allow for quick or easy liquidation of failed companies, thanks to a misplaced pride to demonstrate, that Indian companies do not fail? Can this airline be saved? Or is it time for this airline to be euthanised? Share your views via the survey below and via comments.